This week we caught up with Doug Fudge, President of one of the most experienced Insurance brokers in the Central Florida Region. We had lots of questions about advice on vacation rental home insurance and we put him to the test for our Reunion Resort real estate blog readers! What’s the number one tip you’d give to a Reunion Resort homeowner looking for good insurance cover at the best possible price? Shop with an agent that specializes in insuring luxury vacation homes. The vacation home is a unique type of home and not every agency knows how to properly insure them. Is there a good or a bad time of year to take buy or renew an insurance policy? No, anytime is a good time to buy insurance. Rates change periodically from company to company, but insurance is not seasonal. What can owners do to improve their chances of a satisfactory claim, in the event of an unfortunate situation? Be thorough with documentation. Take pictures of the damage, save receipts, and report the claim as soon as possible so the adjuster can assess the situation quickly. It is very important to remember that all policies have exclusions. Some common exclusions that come up are builder defects, wear and tear, tenant damage or intentional damage. Can you explain the different types of policy that Reunion Resort owners should consider? The main policy that an owner will have is called the hazard policy, sometimes referred to as the building and contents policy. It covers the house, contents, and provides some liability coverage. The secondary policy that we highly recommend is an umbrella liability policy. The umbrella can provide anywhere from $1,000,000 to $5,000,000 of additional liability coverage, depending on the needs of the owner. A third policy to consider is a flood policy, though quite a few companies are now offering a flood endorsement that can be added to the hazard policy. The flood policy or endorsement covers for rising water that enters the house. Also consider a mortgage life insurance policy if there is a mortgage on the home. This will provide money to pay off the mortgage should one of the owners pass away. We can insure American citizens and foreign nationals. Is the insurance market pricing stable right now? The insurance marketplace is a global market so what happens around the world can affect prices here in Florida. In addition, we had Hurricane Irma roll through last year which has caused insurance prices to rise. This year we have seen steady rate increases across the industry. How can owners keep policy costs down without losing in the event of a claim? We don’t recommend slashing coverage to save a few dollars. If you are price conscious then you can explore raising your deductibles to lower your price. If your home was built in 2001 or before then you can have a wind mitigation inspection done. This inspection takes into account the wind resistant features of your house and can possibly lower your insurance cost. There is not a general rule of thumb because insurance rates can vary from zip code to zip code and house to house. Insurance rating is very complex and takes into account multiple factors. If you are building a new house, two things that can help keep your cost down are to have a hip shaped roof and all concrete block wall construction. Both of these make the home more wind resistant and result in a lower premium. If owners obtain their vacation home policy from you. Can they obtain real discounts on their other car/home/travel policies? We are a Progressive Platinum Agency and now that Progressive owns American Strategic Insurance (ASI) we can provide bundle discounts when home, umbrella, and auto are all written with Progressive through our agency. We also represent multiple other insurance carriers that will insure vacation homes, so we are able to provide options and choice to our clients. Are payment plans available for your policies, to help owners off to an easier start? Most of our home insurance carriers will offer up to a 4-payment plan. The auto companies also offer similar payment plans. How quickly do claims normally take to settle? The length of time it takes to settle a claim varies greatly from company to company and claim to claim. If the claim is small, it is likely that it will take at least two weeks to settle. The more complex the claim the longer it will take to work through the process. How can owners deal with storm risks? Have the right insurance in place, keep your policy in a safe and accessible place, and know who to call in the event of a claim. We provided Doug Fudge with an opportunity to answer our short question/answer session as a result of our respect for his team’s consistent reputation for excellent service and advice. We ourselves source our insurance services through Fudge and genuinely recommend them without any incentive, payment, commission or referral fee of any form in return for this article. 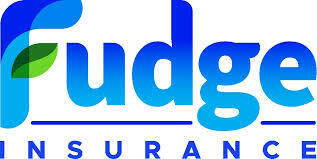 For further details, please feel free to reach out to Fudge Insurance for great advice on a wide range of auto, home and personal insurance.